Ready to apply for a loan and buy your dream home? Plan ahead to increase your chances of success! Here are 10 tips to get your loan application approved. The fact of the matter is that, for most people, it’s impossible to buy a house without first securing a loan. Unfortunately, securing a sufficient home loan is far from a given. It’s for this reason that you need to take the loan application process very seriously. If you’re going to have your loan application approved, you’re going to have to have your ducks in a row. 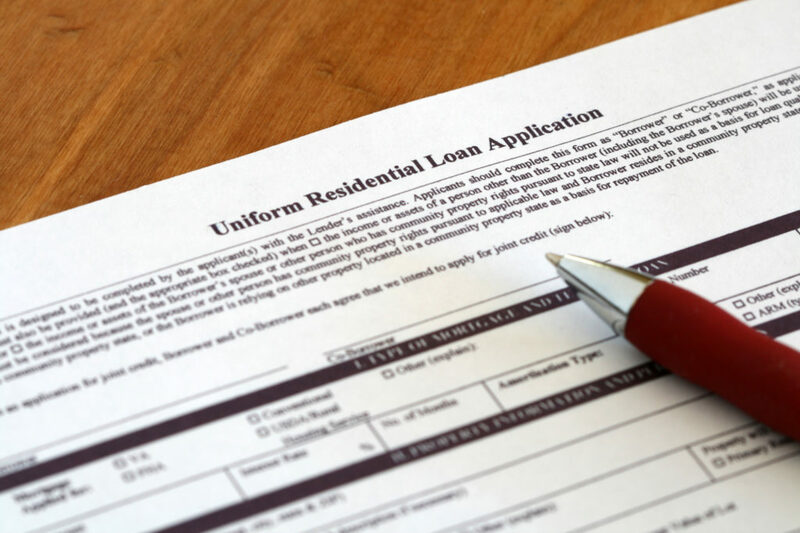 Here are ten must-read tips to get your loan application approved. When applying for a loan, a down payment is an absolute necessity. Different loans require different sized down payments, but in most cases, it’s required that between 5% and 20% of the listed price of the house is paid upfront. To save up for a down payment, it’s recommended that you put monthly portions of your income into a savings account. The more money you can put down for a down payment, the better chance you’ll have of your application being accepted. Just as a larger down payment increases the success rate of securing a loan, a higher credit score ups the success rate as well. Before you even think about applying for a loan, you need to make sure that credit score stands a chance. At the very least, you’ll want to have a credit score of 600. The higher your credit score is, the lower your interest rate will be. Any unpaid debt which you’ve accumulated will affect your ability to have a loan application accepted. For this reason, you want to make sure that all of your debt is paid before applying for a loan. It’s also important that, during the loan process, you don’t apply for any additional loans or credit cards. This can hurt your credit, affecting your chances to get the loan that you desire. When searching for homes, it’s a good idea to get pre-approved for a loan to understand what type of loan you can expect to apply for in the future. To become pre-approved, all you have to do is submit some of your financial information. If you’ve been pre-approved for a loan, you stand a much better chance of securing the loan you actually want when application time comes. One of the biggest problems people run into when they’re trying to have their loan applications accepted is that they apply for too big of a loan. This occurs because they’re attempting to buy a house that they can’t pay for. It’s important that, when entering the loan process, you have a deep and realistic understanding of your financial situation. The size and quality of the loan you secure are directly affected by the amount of money you make, and the amount of credit you’ve built up. If you apply for a loan that is not accommodated by your income and credit, you stand very little chance of your application being accepted. The two biggest factors which affect your ability to secure a loan are your finances and your credit. The third biggest factor is your employment. If you’re going to have your loan application accepted, you’re going to have to show that you’ve got steady employment. It should also be noted that, if you’re thinking about changing occupations during the loan process, you should refrain from doing so. Changing jobs at such a time can affect the lenders perspective of you, preventing you from securing the loan that you desire. If you’re going to take out an appropriately sized loan, planning is absolutely vital. How do you get a good idea as to what type of loan is available to you? By using a mortgage calculator. Mortgage calculators allow you to enter different down payments, home prices, and interest rates, all the while showing what your monthly payment would be for each. Being able to play around with the numbers allows you to understand what loans are available truly. There is far more than just one type of loan available. FHA loans, USDA loan, and jumbo loans are just a few of the many mortgage loans around on the market today. It is your duty to research so you can decide which one is best for your purposes. Some loans have lower upfront costs, but higher interest rates. Some loans have gradually increasing or decreasing interest rates attached to them. You can view here for more information on different types of loans available. Just because the initial loan application has been submitted doesn’t mean that your job is over. Once an application has been submitted, it must be combed over by your prospective lender. It is vital that you maintain close communication with this lender until the fate of your application is revealed. Your lender may require additional information, without which the application process can’t continue. Prompt and clear communication will help to get you through your loan process in a quick and (hopefully) successful manner. The best practice when applying for loans is to apply for only one loan at a time. Applying for several loans at once can cause a lender to think twice about whether or not you’ll be responsible for your future payments. The key is to keep your credit as steady as possible during the application process. Make sure that your monthly payments are being paid, and that you’re not doing anything else to negatively affect your credit score. You want to be on your best financial behavior when trying to secure a loan. Looking for Other Useful Information? If you’re trying to get approved for a loan, you’re likely in search of a great deal of other information. Fortunately, we here at AMillionLives.com have that information. Whether you’re seeking out information related to money, travel, business, technology, or otherwise, we can help you.